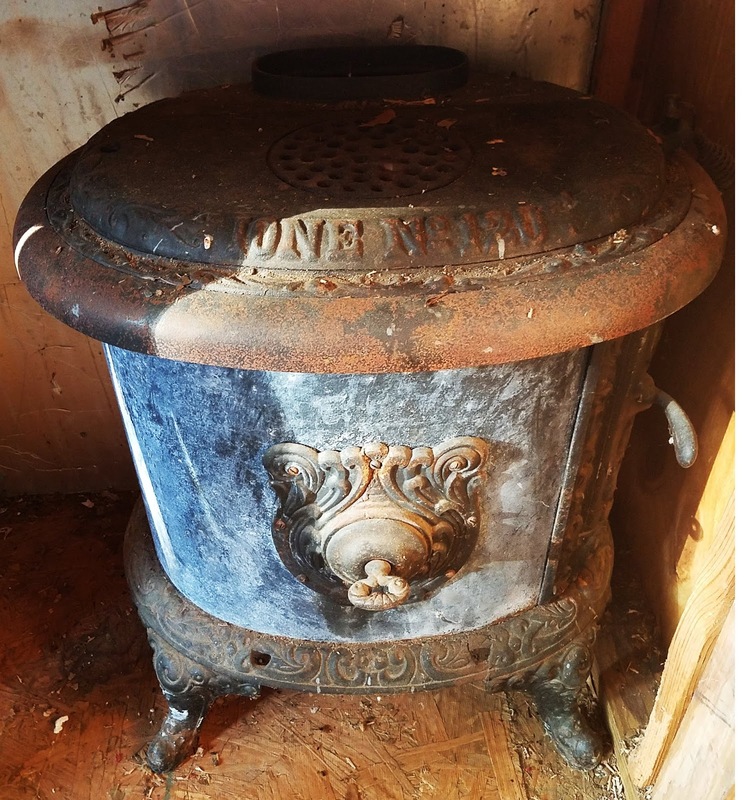 ARE YOU A STOVE EXPERT? 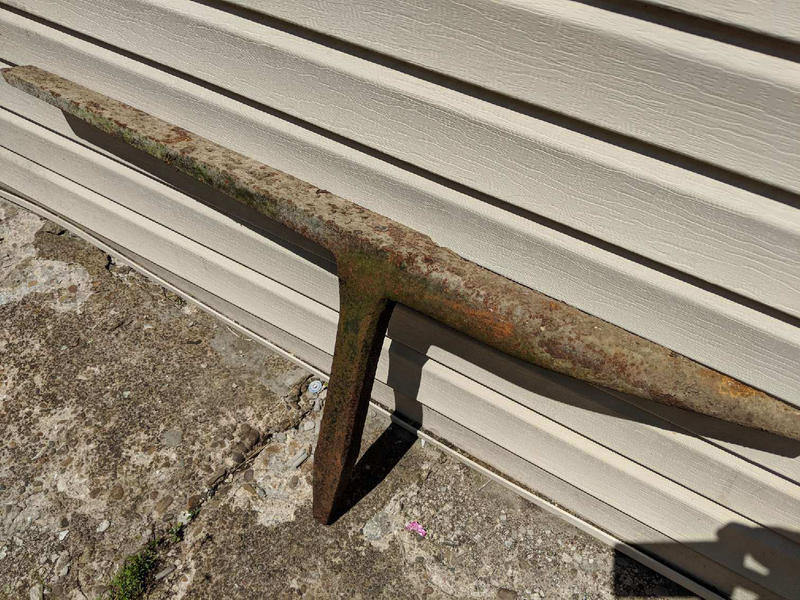 If you have more info on this tool, its specific use, era, or the Bridge Beach Co Foundry please check out the this link to our STAKE ANVIL Page and leave comments or email us your information. Thank You! We just updated a new addition to our Cast Iron collecting. 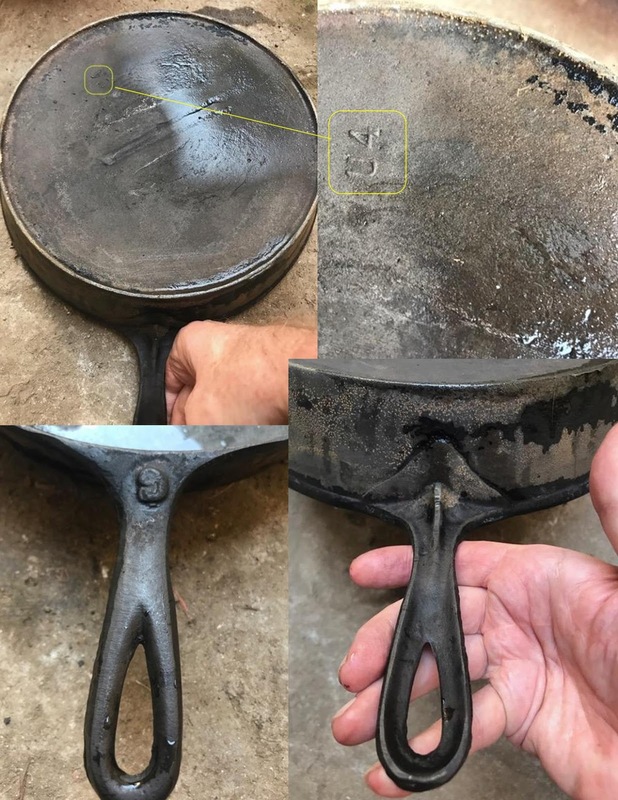 A 1920's era unmarked Wagner deep skillet. Check out our Wagner file. See the full article at Turn a Gridwall Hanger into a Lantern Hanger. 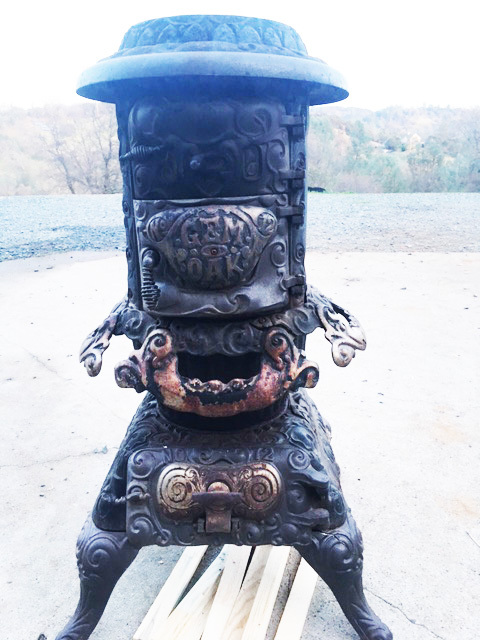 We have a reader request to help provide information about this LIVE OAK cast iron stove. Can anyone provide any type of information as to era, foundry, etc.? Looks like some top parts are missing? 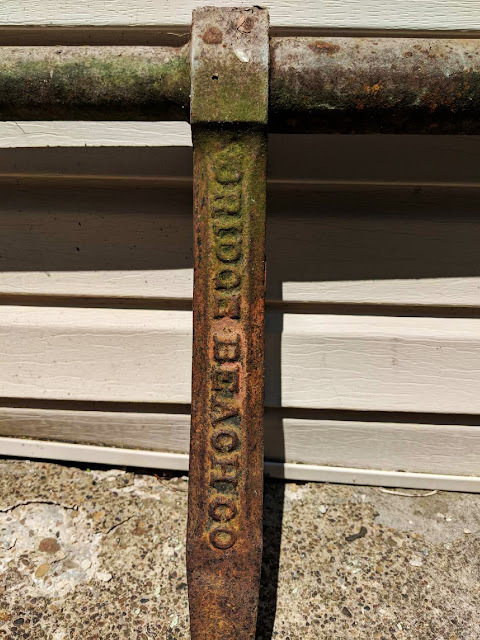 CAN YOU HELP IDENTIFY THIS PIECE OF CAST IRON? The below piece of Cast Iron has not been positively identified by anyone. If you have knowledge of what is shown here, please email us with any info. We are looking for things like the foundry or manufacturer, Year or Circa manufactured, current value, etc. The thought was to fabricate something simple from common parts. You may have to alter this to accommodate your stove. Follow the link to Camp Stove Leveler for the full article. Parts, and fabrication method. TRENDING: Our Top 10 Most Viewed Posts the last 30 days. LP PROPANE TANKS Did you know they do expire? If you care to get TOPONAUTIC Blog updates via email, please enter your email address in the box indicated below. Then click "Submit" Thank You in advance! You will never miss a new post. We don't spam and you can opt out and re-subscribe as often as you like. The above image is linked to a great website. Please click and take a moment to support our sponsors. "I certify I am the rightful & legal owner of this submitted media. I further give full rights to publish and distribute in any form, with no compensation intended". Be sure to include your full name and advise us how you want your "Author info" noted. This is in case you just want only a first name used. Or some other format. There is no compensation of any kind from us associated with any of your submissions, or our in turn publications. We will not publish any photo containing people that are identifiable. Or articles containing full names of individuals other than yourself. This gets into a whole different realm of legal issues and "Photo/Media Release" info. If you have such a subject or photo, contact us directly for more information. Thank You! The name TOPONAUTIC is derived from TOPOgraphical, and NAUTICal. TOPO covers our love of climbing, hiking, cycling, and backpacking the terrain. The woods, desert, and shorelines. NAUTIC covers our passion for water related adventures such as canoeing, kayaking, and yakpacking. We are a part of http://www.TOPONAUTIC.com. Passing on info, news and adventures. Share our outdoor cooking recipes and more. Send us your Outdoor Photography, written articles, recipes, and more. We blog about the Outdoors. Dutch Oven Cooking, Camping, DIY projects, Backpacking, Kayaking and much more. 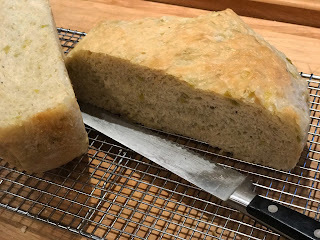 Try our recipes and projects. Better yet send us yours so we can post it on our blog. We have a huge reader base willing to try out new ideas. Follow our blog via Google Friend Connect Following gadget, or by adding our blog's URL to your Reading List. Our Blog is connected to a Google+ page and profile. Readers who are on Google+ can follow our blog with the Google+ Following gadget, which lets you add your page or profile to our circle. Website & Contents ©2016 Rick Beach - TOPONAUTIC. Simple theme. Powered by Blogger.